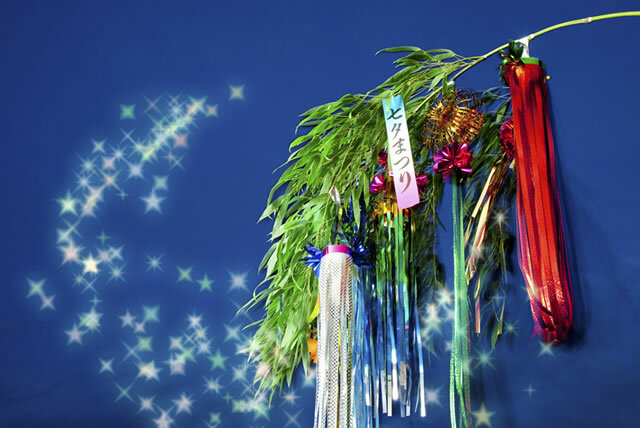 There is a romantic holiday in Japan called Tanabata (Star Festival) where people make a wish upon a star. 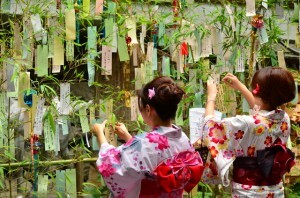 Adults and children write their wish on a strip of paper and hang them on a bamboo leaf with various decorations. This is also the day when, according to a fairy tale, when Princess Orihime can meet Prince Hikoboshi! Around this day in Japan, bamboo stalks are displayed in various places, including backyards and shopping malls. Usually along with the bamboo, strips of paper and pens are displayed for visitors to leave their wish. Long ago, there was a traditional event where young women would weave a kimono and offer it to the gods on a shelf. This was done to welcome the gods, pray for harvest, and purify the soul. This event was carried out right before the Obon holidays (a holiday to settle the dead), and eventually became today’s Tanabata. A fairy tale associated with Tanabata is the story of Princess Orihime and Hikoboshi. The story was originally a Chinese tale. When you look up at the sky, there are two bright stars: the star Vega is Princess Orihime, while the star Altair is Hikoboshi. The two stars are said to shine brightest once a year on this day, on either side of the Milky Way. The romantic story of this yearly meeting has been told over time. Because the star Vega is associated with Princess Orihime, a princess who was an expert at weaving, people prayed upon this star to improve their weaving and sewing skills, and eventually, for the arts and calligraphy. It is about the Edo era when people came to write wishes on strips of paper. It is said to have started when children studying in terakoya (school house) started writing their wishes on strips of paper for their calligraphy to improve. The five most common colors of the Tanzaku (prayer strips) are blue (green), red, yellow, white, black (purple). These five colors express the five elements: tree, fire, earth, metal, water. The tanzakus are hung on a bamboo leaf. Originally, in Japan, bamboo leaves and bamboo were treated as a holy thing. The bamboo has strong roots, reproduces quickly, and can stand various elements like wind, snow, heat, and cold. The bamboo is a symbol of vitality and mystique, and was used frequently for Shinto rituals. Additionally, the sounds of rustling bamboo leaves has been said to invite God. 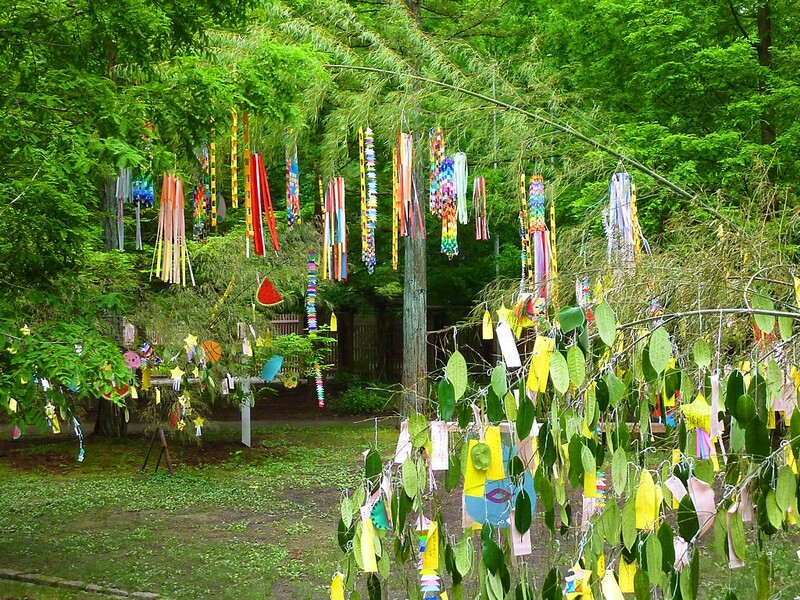 Thus for Tanabata people came to hang sacred wishes and decorations on bamboo leaves. The Star Festival is a collection of various legends and customs. Tanabata is a romantic and mystical night. What wish will you make this year?